We are in the early stages of a broader transformation in how enterprise organizations look at the role of support. In the near future, support will become much more automated, but will also become much more customer-facing. I traveled last week to Las Vegas to try to answer what may become a vital question for an entire sector of the technology industry: is there a future in providing technology support? In the MGM Conference Center, over 2,300 service desk analysts and other technology support professionals gathered for HDI’s service and support conference. And as they did, this question — both spoken and unspoken — lingered just beneath the surface. As conversations about chatbots, artificial intelligence (AI) and other forms of automation swirled about the expo floor and mixed with talk about the shifting role of support, the question about the future of this space became both relevant and timely. It’s a challenging time for the industry. One on hand, futuristic, AI-powered technologies are mesmerizing us with utopian promises of systems that can anticipate our every need. Fueled by this promise, it’s also a time in which we are becoming increasingly intolerant of antiquated, unintuitive systems and the script-reading call center agents that support them. We are at once more capable than ever of supporting our own technology needs, and yet so dependent on that technology that any disruption borders on catastrophic. There is a certain irony to the disruption occurring within the technology support sector as it is technology that is disrupting the very livelihood of those whose job it is to support it. AI, chatbots and other forms of automation are now taking top-billing in most of the systems targeted at the support industry. The often-unstated subtext is that this automation will reduce the need for support staff. But is it true? “There’s a lot of talk about automation and AI, but not a lot of companies actually doing it and implementing things like chatbots,” explained Fancy Mills, HDI’s Group Director of Training, Certification and Content. She explained that every new technology seems to come with the threat of job displacement. Companies, however, quickly realize that it’s rarely that easy. In her estimation, the new wave of AI-powered solutions will be no different. Still, in the resource-constrained world of IT, organizations are duty-bound to find ways to reduce the cost and overhead of delivering technology. This new wave of AI and automation promises to help them do just that. Sanker continued by acknowledging the fear that a statement like that can cause. The big message for the technology support sector is that we are on the cusp of a foundational shift. As these new technologies evolve and improve, they may not result in the mass elimination of jobs, but they are likely to reshape the very nature of what it means to be in support. The question then, is into what? The good news for technology support professionals is that while technology may be disrupting the nature of their work, there is a broader shift underway within the enterprise that opens new doors of opportunity for them. Across the enterprise landscape, organizations are recognizing that delivering and supporting a superior customer experience is becoming one of the primary drivers of competitive differentiation. As a result, they are putting significant resources toward the creation and protection of experience-based customer value. More importantly, as technology becomes more deeply ingrained into every facet of the customer journey, they are also beginning to realize that the traditional, internally-focused support organization may be best suited to help them successfully shift their focus. Moreover, organizations are also recognizing that the customer experience is connected to and is often a derivative of the employee experience, all of which is giving rise to a new concept: the experience level agreement, or XLA. This shift to a more holistic perspective is resulting in a growing trend of service desks and other support teams supporting both internal and external customers. Enterprises are beginning to reimagine the role of the support organization as they recognize that technology is now critical to the customer experience and that their existing support teams are best positioned to provide the support for these technologies. It’s a transition that is necessary, but one that is also fraught with risk for both IT organizations and support professionals. Supporting an ever-more-complex technology stack along with the needs of both internal and external customers is no easy task. Throw in the fact that AI and other forms of automation will reshape the manner in which support organizations operate in the first place, and the result is a support function that will look and feel wildly different from what exists today. Just a few years ago, it would be fair to say that the technology support sector had stagnated. The action was in DevOps, Big Data and other areas of the technology industry. But as the two forces of automation and the rise in importance of the customer experience have disrupted this once stagnating space, it is also creating opportunity. And the industry’s technology companies are responding. Encouragingly, though, it's not a response borne from a mere desire to take advantage. Instead, technology companies see an opportunity to reassert the relevance of the space. Standing for the AI Services Era, the company is applying machine learning to ITSM to create what they call AISM. 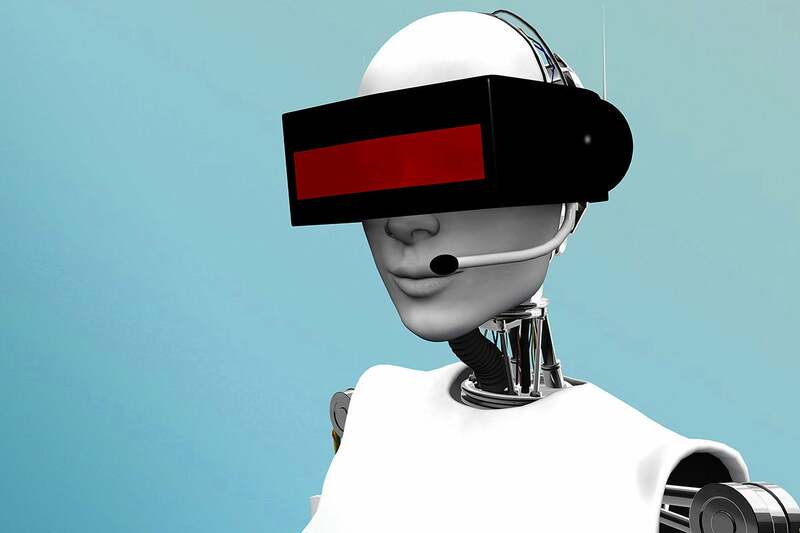 Providing the ability to augment service desk agents and support staff, as well as the ability to create what they call the autonomous help desk, the company believes this technology will usher in the next generation of ITSM. The company wants to help IT organizations manage end-to-end service delivery, beyond just operations. The company sees the combination of its JIRA Software, ubiquitous within development teams, with JIRA Service Desk as a Software + Service offering that helps organizations move beyond just DevOps or operations and bring it together in a collaborative manner on their platform. The company’s new self-help product delivers what it calls context-aware intelligence to help organizations deflect tickets and manage what they call guided work. Working on top of any ITSM solution, the product helps organizations move beyond simple self-help approaches to embrace and enable knowledge flow. A couple of years ago, the company rebuilt its offering from scratch. The result is a collaboration platform and business process engine — with ITSM built on top of it. This results in a capability it calls Collaborative ITSM. As its name implies, this means that every object in the system — including an incident, a person, an organization, or an SLA — becomes a collaborative object that can be followed and tracked — changing the nature, according to the company, of how the support function works. Delivering what they call Unified IT, the company offers a deep and rich portfolio of tools to help IT organizations manage operations effectively and break down the silos that inhibit speed-to-market and operational efficiency. The company believes that by making the management of IT simpler, it enables enterprises to more rapidly implement automation across the management stack. Historically focused on the SMB market, the company is beginning to serve more enterprise customers as they are attracted to its end-to-end, yet simplified approach to IT and infrastructure management. Its common data model and end-to-end approach are focused on helping organizations spend fewer resources on management and shift those resources to delivering business results. Embracing what it calls Employee Service Management, the company aims to help its clients create a one-stop shop for employees to meet all their needs, while keeping service provisioning aligned across an organization. The company bases this approach on a belief that negative employee experiences result in negative customer experiences and wants to help organizations flip this dynamic. An early leader in the move to Enterprise Service Management (ESM), the company has continued to expand its offerings on both the automation and ESM fronts. It has recently released its Intelligent Automation AI engine along with new chatbot technology connected to its HR, IT and financial solutions with the intent of simultaneously increasing automation and improving the customer experience. The company employs what it calls a “true codeless” approach in which every customer — whether the solution is deployed on-premises or in the cloud — is using the same version. It combines this approach with a broad set of touchpoint measurements and surveys to help organizations measure and sustain the customer experience over time. The big takeaway is that we are in the early stages of a broader transformation in how enterprise organizations look at the role of support. In the near future, support will become much more automated, but will also become much more customer-facing. This shift will minimize the traditional value that support teams provided to the enterprise. But it will be replaced by a much more critical value equation centered around the support of the customer experience. Successfully making this transition will demand that support organizations reshape their identity, that technology providers continue to connect the dots between support and the customer, and that support professionals retool their skills for their new, hopeful future.